Christmas is just around the corner, which means its time to start thinking about what to get that special lady in your life. Whether you are buying for your mother or partner we’ve come up with something for every budget. 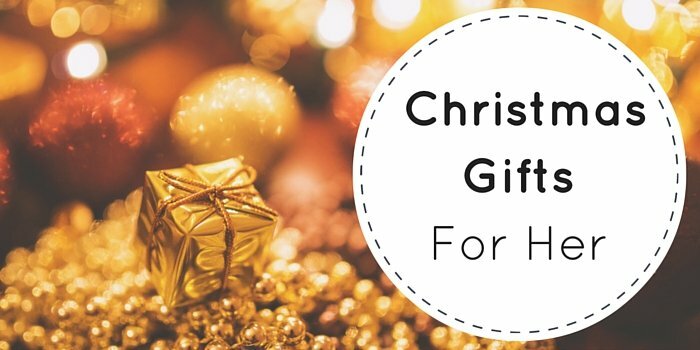 It doesn’t matter if you don’t have a large budget to find the perfect present. Creating her gift and putting in thought will mean a lot more than buying the most expensive present you can find. You don’t always have to spend a lot to create something that looks incredible. If you aren’t very good at making something from scratch, then buying something to decorate is the easiest option. Another option for those who are feeling a little more creative is to create something almost from scratch. Candles and soap are some great ideas as you can usually find a kit to use, which will include all the materials. Just follow the instructions provider and get creative with your designs. If you have the budget to treat either your partner or mother, then there are plenty of options for you. If you know she loves her skincare and beauty products, why not splash out on that beauty item she’s always wanted but has never been able to afford. You can always go down the traditional route and buy her some nice jewellery. You don’t always have to buy a physical item; a nice day out somewhere special is always something anyone would love. Sending her on a spa day or shopping trip are two great ideas. The important thing to remember is making it personal. If neither of the previous two ideas are something she would enjoy why not send her to an event she’s been hinting on going to, either a music concert or a sporting match. Sometimes the traditional gift ideas don’t fit the recipient. How about renting her a self storage room. It would make the perfect escape for her to do whatever she wanted, without being disturbed. It’s the gift that keeps on giving.